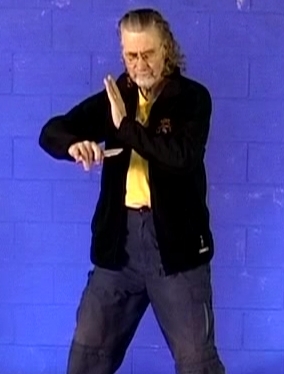 On this volume Erle teaches the next two advanced knife fighting forms from Chang Yiu-chun. The "Reverse Knife Form" and the "Quickly Moving Knife Form". The Reverse Knife Form teaches excellent foot work gaining timing and coordination which hold one in good stead for the empty handed art as well. The Quickly moving Knife Form teaches the use of the hands against many attackers, also relying upon excellent footwork. Both of these forms are again excellent for good health as well, working upon acupuncture meridians and giving the body a general toning workout.